Although it may seem a little premature to start on your seeds when your plot is probably still under a thick layer of snow, it is well worth starting a few things off before the sowing madness of February arrives. Of course you are going to be a little limited as to what you can grow this early on, but indoor sowings of onions and pepper varieties are just the thing for getting your eye back in. Don't forget the king of winter sowing - broad bean 'Aquadulce Claudia'! 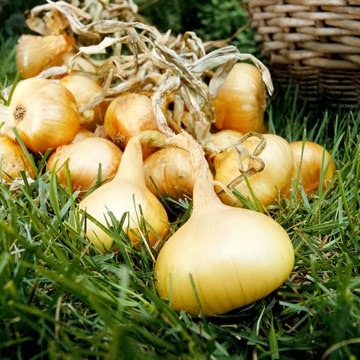 January is the ideal time for growing onions from seed. Sow them into either plugs or a seed tray containing a good quality John Innes ‘seed’ compost. Give the seeds a light covering of the same compost and gently water them in. Germination of onion seeds will take between 14-21 days but they will need to be kept at a temperature of about 19-21C during this period. This is important as higher temperatures can inhibit germination. 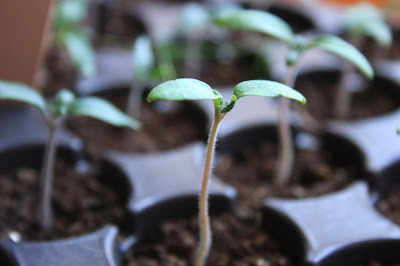 Once the seedlings get to about 1 ½ inches high they can be transplanted into individual 3-4 inch pots, but make sure that the tiny bulb is not covered by the compost. In a couple of weeks - once the new seedlings are well rooted into their pots - they can be moved outside into a cold frame to harden off. A few weeks more and they will be ready for planting out into their final position. Plant the seedlings in early spring into a sunny position that has a rich, well drained soil - preferably it would have had plenty of well rotted compost dug in to it the previous autumn. Keep them at about 5 inches apart and add a dressing of general fertiliser just before planting. 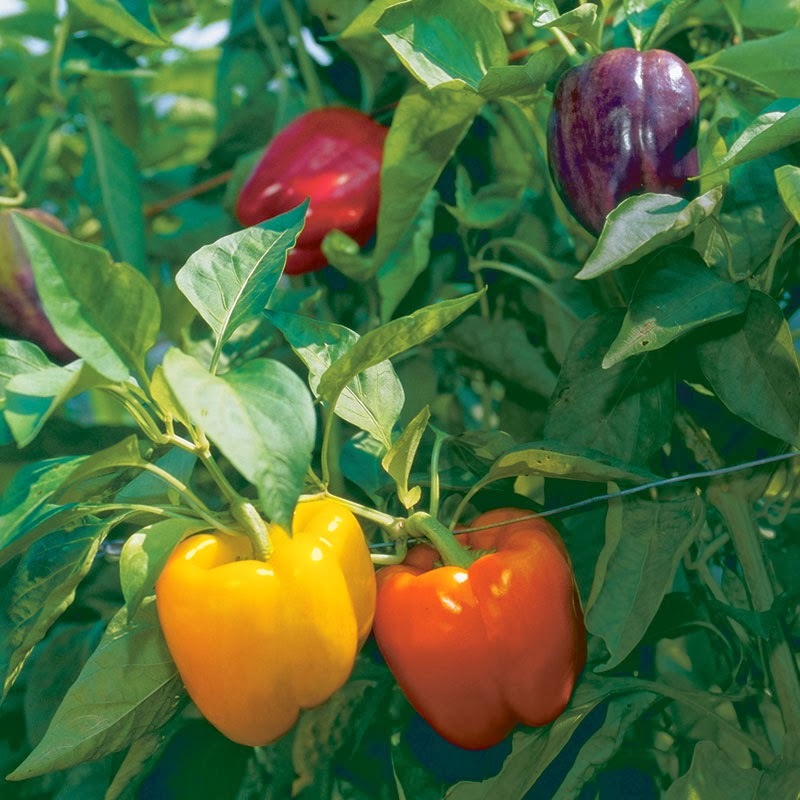 This covers most of the varieties for northern Europe if you wanted to grow them outside. Starting them off early as a protected crop is essential because if you waited until after the last frosts the resulting summer season will neither be long or warm enough for them to crop decently before the onset of winter. Sow your pepper seeds - adequately spaced - into either plugs or a seed tray containing John Innes ‘seed’ compost. Top them off with another 1/2 inch of compost then gently water them in. It's important that the seeds remain moist until they germinate and as such will require adequate ventilation to prevent fungal rots. If ventilation is poor you may need to spray your newly germinating seedlings with a liquid fungicide once a week to protect them. So long as the ground isn't frozen you can direct sow broad bean 'Aquadulce Claudia' Seed outdoors under cloches from early autumn to late winter. They will require full sun on rich fertile, well manured soil with protection from strong winds. Plant broad beans 'Aquadulce Claudia' in double rows set 9 inches apart and allowing a minimum of 24 inches between each double row. 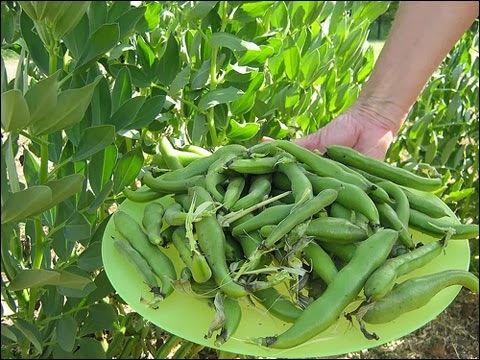 Sow broad bean seeds at a depth of 2 inches and water well. You can expect germination to occur in around 10 days. As the plants mature, support them by placing a cane or stout stick at each corner of a double row and tying them in with string. This is particularly important in windy gardens. Keep them well watered, particularly as flowers begin to set and hoe between rows regularly. Pinch out the growing tips after the first flowers have set their pods as this will not only deter blackfly but will also encourage further bean pods to set. Harvest broad beans when the pods are well filled and the beans inside are still soft.